CFSK Newsletter Vol 1. #4. 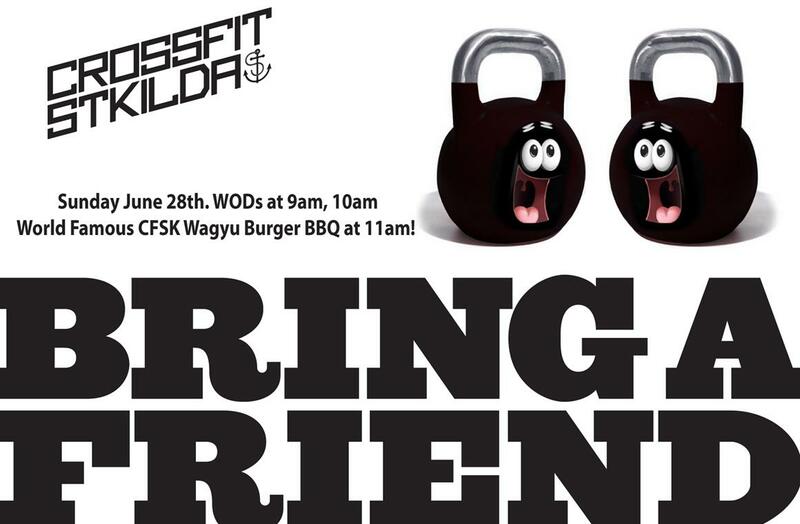 Sunday June 28th is CFSK Bring A Friend Day. If you have that pesky buddy that claims they know everything about CrossFit but prefer bootcamp, or they claim that they 'do better workouts on their own' then rope them in and get them along to our Bring A Friend Day. 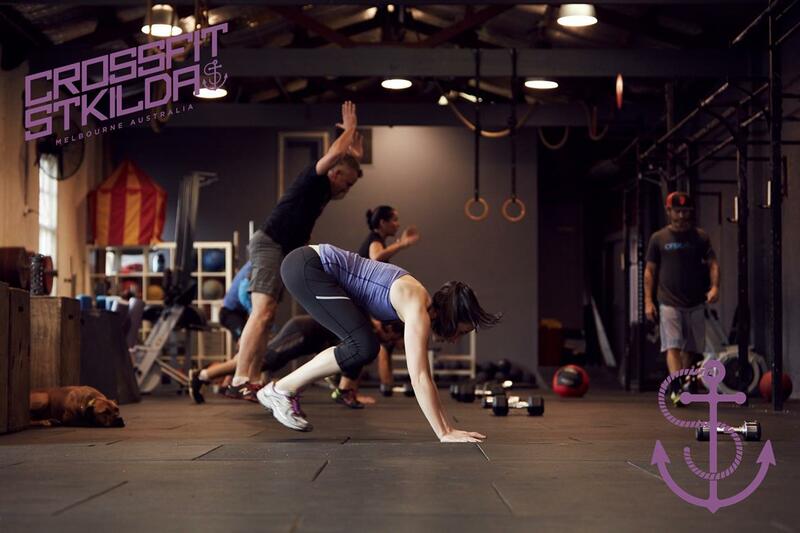 Each session will be made up of 3 fun and challenging partner WODs for you and your friend. We won't use any barbells or add load with KettleBells or Dumbells but if anyone remembers the famous Burpee/Jumping Lunge ladder of last years BAF day you'll know that we dont need to add weight to make the day miserable! The CFSK BAF day is a great day for members and future members alike. He's a very funny bugger and if you train with him, whether you like it or not, he will defintely 'encourage' you to go RX. You can often hear Mike crackling up to the 5pm WOD on his trusty 'sickle so I figured I'd ask him a few questions about his motorbike. Make/Model? - 2013 triumph Bonneville. Does it have a name - The Phantom (stock colour is Phantom Black). Favourite place to ride? - The Macedon Ranges. Long straights and curling uphill sections. If your Mum asked you to get rid of it would you? - Mum has asked and I said no chance darl'! Can yo do Mono's on it? - I can't do mono's but on my old Yamaha DT250 I could pull a few every now and then. CFSK Run Coach Nathan and I got out for a great trail run session last weekend. We headed out to Kew Bvd and around Studley Park Boathouse. The trails are a good mix of surfaces and depending how energetic you feel you can run anywhere from 15-90mins and either cruise along or absolutely flog yourself.. 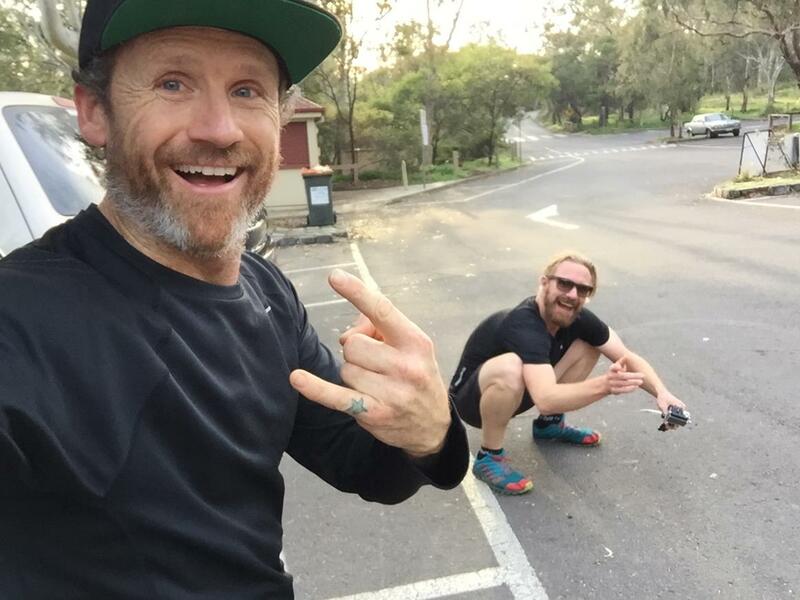 If anyone is keen to join our regualr Sunday Runs just let us know. Pic: The Saturday A crew on a very Saturday feeling day. Its funny how different days of the week at CFSK actually feel different. For that reason we like to pride ourself on the fact that regardless of what time of day you train, regardless of what the weather is doing, how tired you feel, or how annoying the coaches can be, the space at CFSK is a fun, inviting, friendly, clean, competitve, supoorting environment for YOU the CFSK athlete. If you have any suggestiosn about how we can continue to improve the space please dont heistate to let us know. 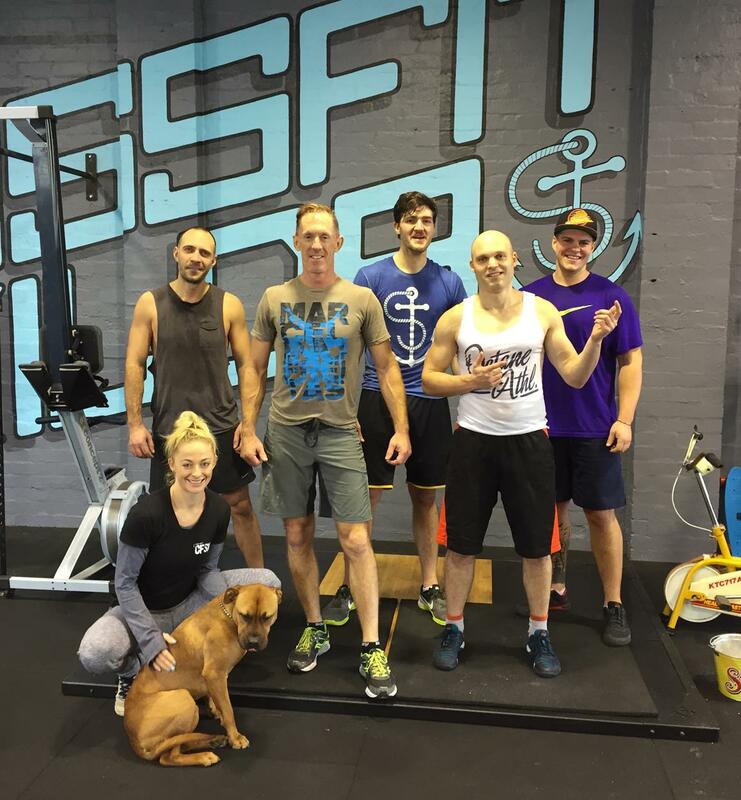 Some of you may have noticed that we have been doing a few WOD's lately where our main goal of the workout, in the words of Coach Kate, is to 'hang the f#*k on!'.. We've had Badger which had 90 Squat Cleans and was more about pacing, and then Gwen with Clean and Jerks and this week it was the Bear Complex. Both Gwen and The Bear are classic grip strenght testers. Kate Bass catching her breath and letting her grip take a break on rep 24 of her final set in round 5 of The Bear Complex. Kate finshed on 42.5kgs. Awesome work champ! Kate brings an amazing insight of the human body to her Coaching thanks to her 10+ years as a Chiropractor with many years of study both at University and many Certifications in Chiropractic Care for Kids, Pregnant women and the effects of Emotional Stress on the body. 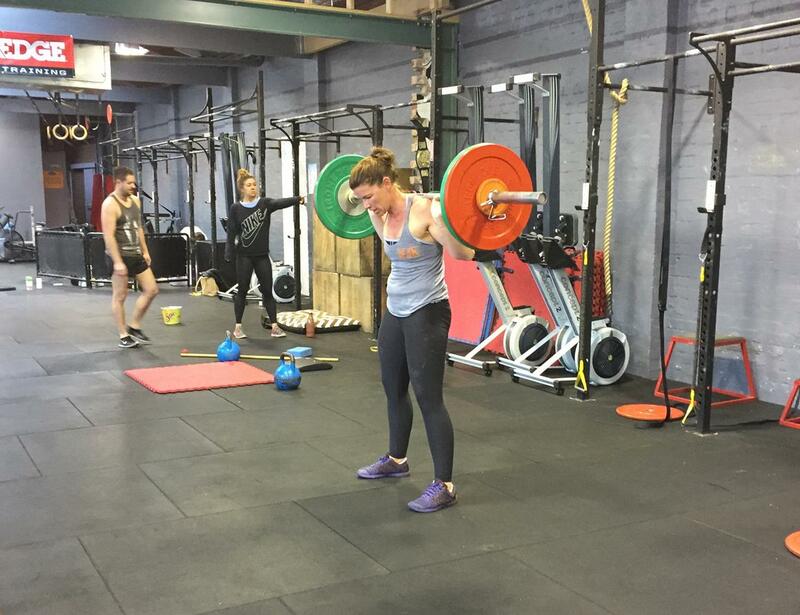 Kate is a fierce competitor and with 2 consecutive years at the Aus/NZ (now Pacific) CrossFit regionals she has an insiders perspective about how to train at the Elite level, the sacrifices it takes, and the determination required to reach your goals. Kate Coaches Mondays 5.30am, 6.30am and other guest appearances during the week if you're lucky. 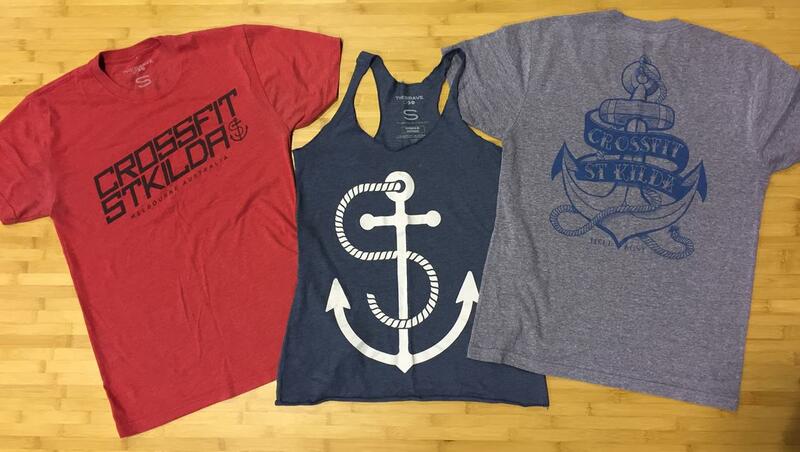 We have new colourways arriving soon of all your favourite CFSK Tees and Tanks. The Hendo Classic, Clean Anchor and Sime Anchor are all at the printers getting a fresh coat of paint. CFSK Tees are printed on blanks supplied via our good buddies at THE BRAVE.